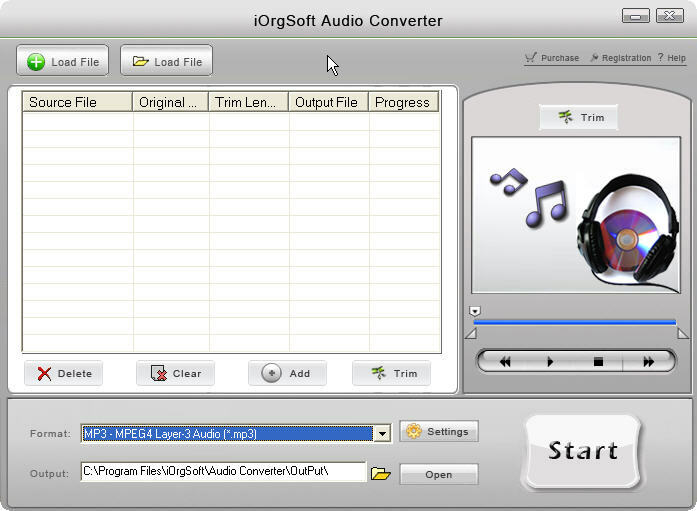 this Audio Converter is a tool for video and audio file conversion. Not only convert audio files between MP3 WMA M4A MP2 AAC AC3 AMR, etc, it also can extract audio tracks from all types of video files such as AVI MP4 WMV 3GP MOV VOB MPG ASF RM RMVB FLV (Flash) etc. It has a unique feature that lets you trim any audio clip and allows you to adjust your favorite audio quality by setting the sample rate, bit rate, audio encoder, channel and volume. ...... It also allows you to adjust your favorite audio quality by setting the sample rate, bit rate, audio encoder, channel, and volume. Besides, this Audio Converter enables you to add artist and title tags to audio files. * Support converting audio files among any formats. * Convert mp3 to wav, Convert mp3 to wma. * Convert wav to mp3, Convert wav to wma. * Convert wma to wav, Convert wma to mp3. * Convert video to MP3, WMA, M4A, MP2, AAC, AC3, AMR. * Support audio trim for getting your most favorite audio clip. * Customize the settings including sample rate, channel, encoder, and so on. Qweas is providing links to iOrgSoft Audio Converter 1.6 as a courtesy, and makes no representations regarding iOrgSoft Audio Converter or any other applications or any information related thereto. Any questions, complaints or claims regarding this application iOrgSoft Audio Converter 1.6 must be directed to the appropriate software vendor. You may click the publisher link of iOrgSoft Audio Converter on the top of this page to get more details about the vendor.